A FORMER NIGERIAN PASTOR HAS MADE KNOWN HIS THOUGHTS ABOUT EVER BEING A PASTOR, ACCORDING TO HIM HE IS ASHAMED OF THIS PART OF HIMSELF. 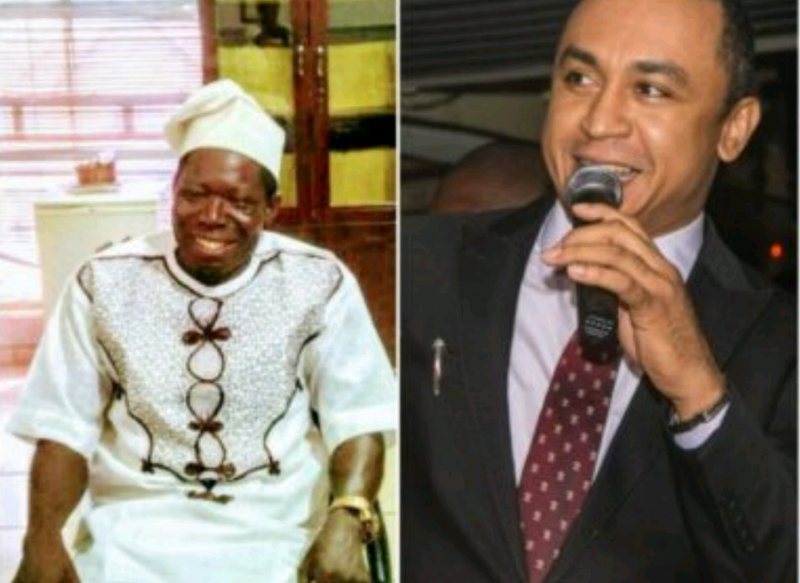 THE MAN IDENTIFIED AS AL AKHIGBE TOOK TO HIS SOCIAL MEDIA PAGE TO POST A VIDEO COMPILATION OF NIGERIAN PASTORS WHO ATTACKED OAP DADDY FREEZE FOR SPEAKING AGAINST THE PAYMENT OF TITHES. “I LIKE THIS COMPILATION. MAKES ME FEEL ASHAMED I WAS EVER A PASTOR, A GENERAL IN A CONFUSED ARMY. THANK GOD FOR OPENING MY EYES OF UNDERSTANDING TO RECEIVE SENSE. 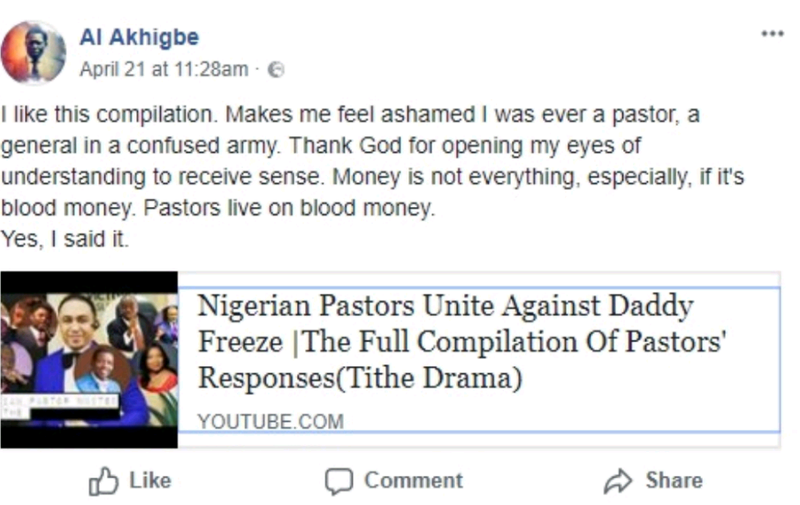 0 Response to "“Many Nigerian Pastors Lives On Blood Money” – Former Nigerian pastor Reveal"